The Happy Learning Appointments system launched in 2014 promotes the exchange of practices between academic staff in the Alliance. Its purpose is to share, pool, discover and inspire the implementation of innovative instructional practices. In a pitch and discussion format, these one-hour meetings allow academic staff to present their instructional experiments. Support students in their learning process by means of attractive, ubiquitous web-based courses. Stimulate learning by means of collaborative projects to further empower students, develop their creativity, and so on. Help students analyze their experiences and make them aware of the skills they have acquired using reflexive analysis. 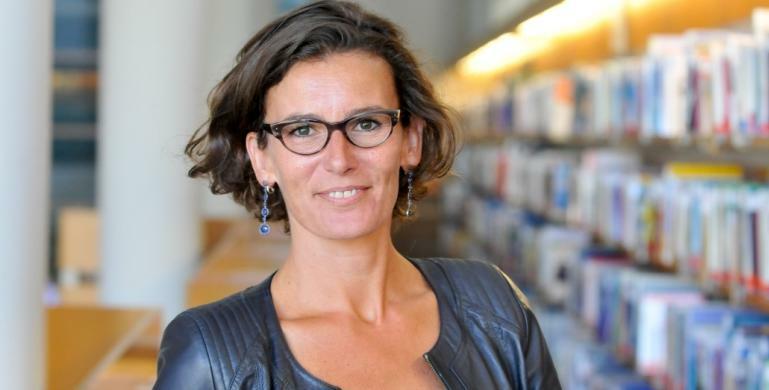 Anne Audran-Ly, law professor at Audencia Nantes, sets up a flipped classroom for a class in employment law. Students prepare the class on staff representatives before classwork and then work in groups on real examples. Using this dynamic instructional format, students are more involved and their creativity inspired. 120 students from 5 Audencia Specialized Masters'® degree programs participated in the Open Odyssey challenge from 7 to 31 March 2016. A "Zero waste" challenge in Bellevue Saint-Herblain" multi-skilled, multi-disciplinary teams and 3 days coordinated by the instructional staff from Audencia. 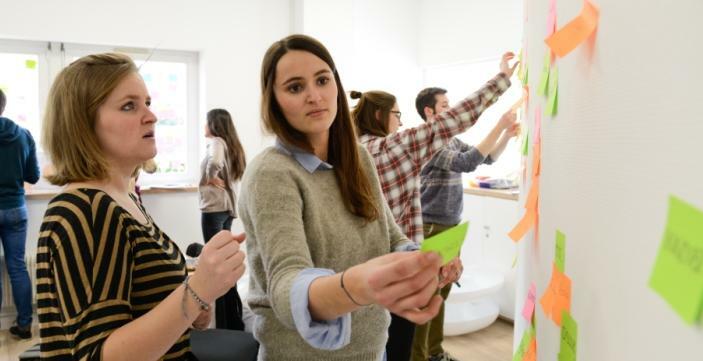 Students worked on the implementation of concrete actions by applying collective intelligence and creativity methods. The first few days included a conference, learning expedition, meetings with stakeholders (French National Agency for the Environment and Energy Management (ADEME), the Greater Nantes metropolitan authority, Veolia, etc.). 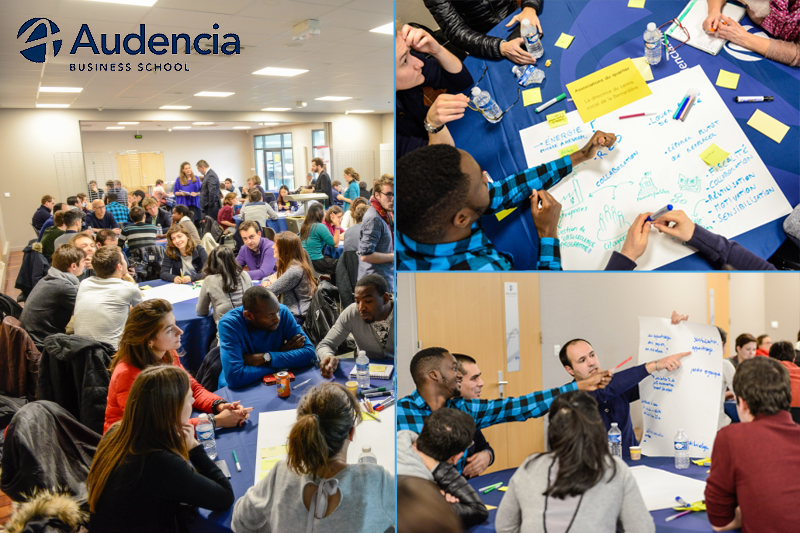 Audencia student engineer-managers return for a workshop on "Innovation and Creativity"
The students were encouraged to meet four innovation challenges during 4 days of creative workshops hosted by Rémy Gaudy and Youssef Grana. The goal was to discover methods of collective intelligence fostering the emergence of new concepts. 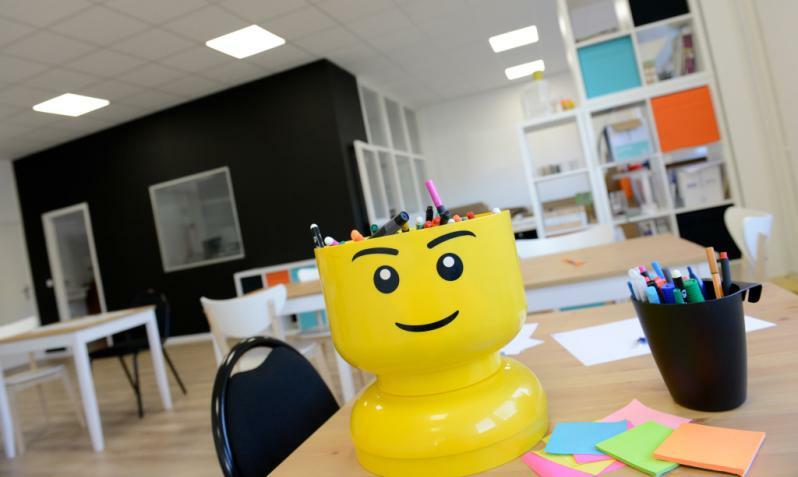 The LEGO® SERIOUS PLAY® method was introduced at the end of the course, allowing students to prototype their ideas and test the system. This pilot project ran for six weeks and was attended by 30 students of the two Bachelor degree programs based on three separate campuses (Nantes, Toulouse and Barcelona). Acting in turn as Project managers, the students succeeded in improving the management of their multi-site team to meet the marketing challenges of a real business case in the Biocosmetics sector. This instructional course focused upon the creative talents of SciencesCom students as part of the "Transition Positive" operation initiated by SciencesCom and Open Odyssey.